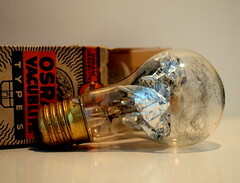 Osram is a German lighting manufacturer and has been in business since 1919. Products manufactured included filaments, light bulbs, and flash strobe equipment. 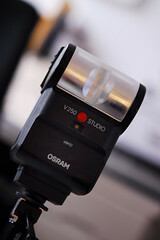 Osram is known for their flash devices featuring a swivel reflector, invented by german Hans-Friedrich Borchers, which is tiltable and splittable for direct and indirect flash at the same time, with a single flash bulb. It was then developed into the Vario reflector, which additionally allows to ”zoom“ the flash angle to match the picture angle of 28, 40 or 85 mm lenses. This page was last edited on 7 January 2016, at 06:46.